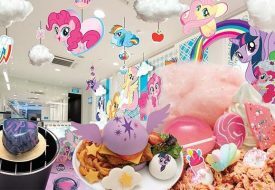 Kumoya is back yet again with another irresistibly cute themed pop-up cafe, and this time, the joy is doubled. In their previous collaborations, Kumoya brought us a single character or group of characters of the same brand, from My Little Pony to Pusheen. 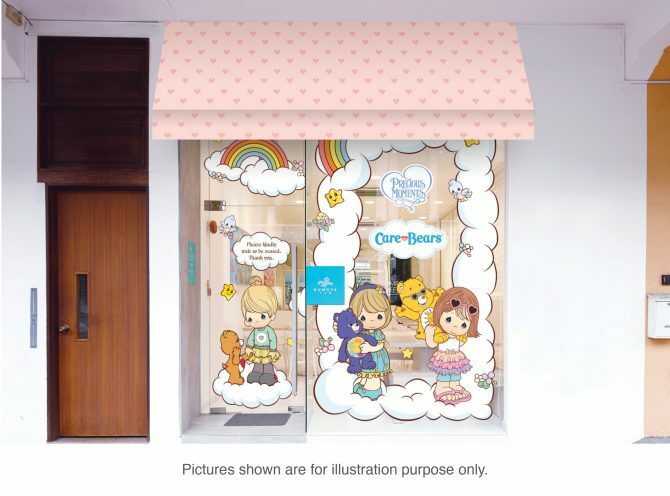 Now, the popular cafe shakes things up with a crossover between two childhood-favourite franchises – Precious Moments and Care Bears! The Precious Moments and Care Bears pop-up cafe opens 18 April until 30 June. Get ready for a specially curated range of yummy snacks, mains, desserts and drinks, all designed to the sweet aesthetic and loving theme of Precious Moments and Care Bears. Famous food artist Shirley Wong (aka Little Miss Bento) returns to the Kumoya kitchen to help style the pretty and colourful dishes. 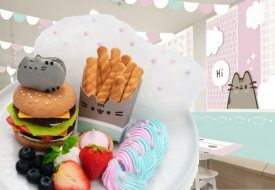 Exciting themed dishes to look forward to include a Fun-in-the-Sun Chicken Katsu Burger featuring the iconic Care Bears heart-shaped sunglasses, and desserts with Precious Moments and Care Bears characters printed on macaron shells. 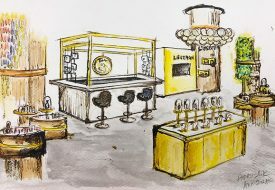 Apart from the actual food and drinks, there’s also the interior design to look forward to at the cafe. 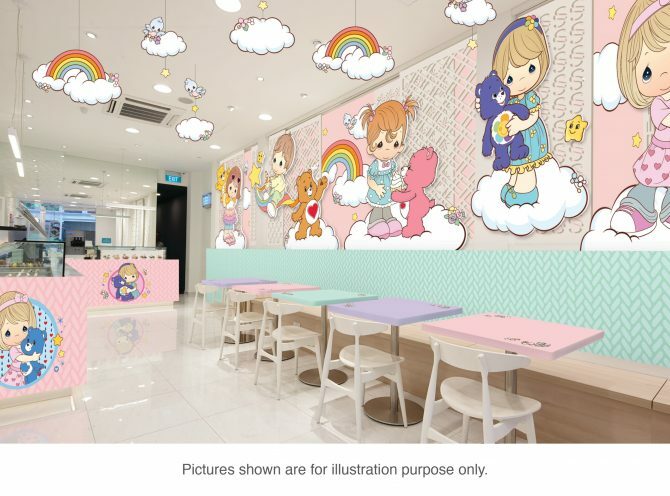 When Kumoya introduced a Care Bears pop-up cafe about a year ago, we fell in love with the cheery decor. Now, at the first co-branded pop-up cafe between Precious Moments and Care Bears in the world, diners are all in for a treat. From the entrance doors to inside the cafe, you will be greeted by original artworks of the characters from the two beloved franchises, created exclusively for this Kumoya pop-up collaboration! And we don’t mean Precious Moments and Care Bears characters side by side, but interacting together. Spot Funshine Bear, Tenderheart Bear, Love-A-Lot Bear, Grumpy Bear and Harmony Bear paired up with the Precious Moments children, showing their love for each other. You get to bring home the magic of this rare collaboration too! The cafe offers a variety of exclusive merchandise, featuring the original art you would see around the cafe’s interior. For many of us, both the Precious Moments and Care Bears characters have a special place in our heart, especially as collectibles during our childhood. The huggable bears make great plush toys, and we love browsing those charming Precious Moments figurines at Precious Thots stores. If you agree with us, don’t leave the pop-up cafe without one or two of the co-branded merch! There are various figurines to choose from, plus a musical box and photoframe. 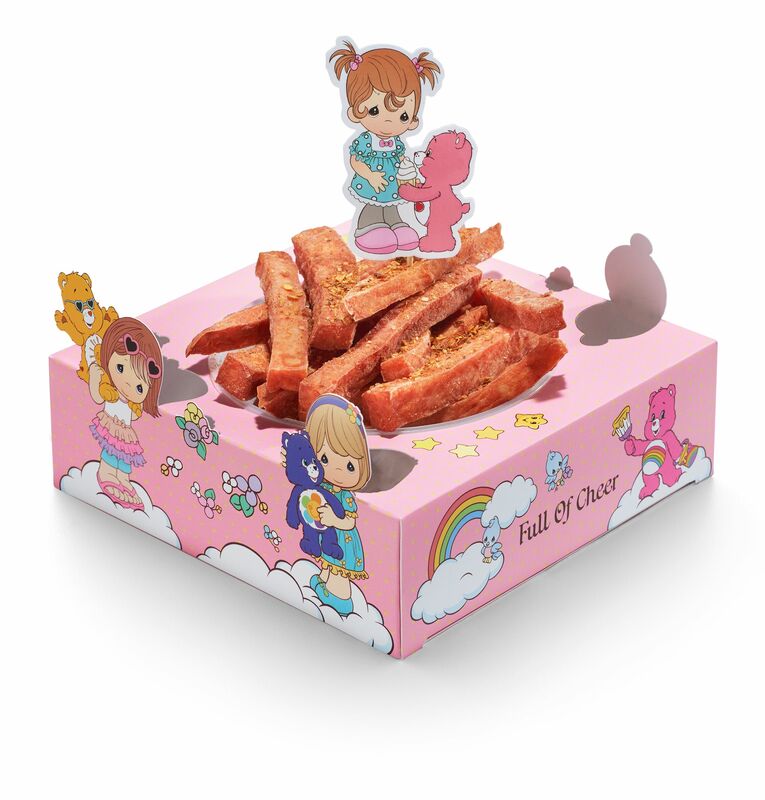 Some of our favourite limited-edition merchandise come complimentary with certain purchases from the menu! Operating hours: 12pm to 9:30pm (Tuesday to Thursday, and Sunday); 12pm to 10pm (Friday and Saturday). Closed on Mondays. The café is not Halal-certified, but it is Muslim-friendly – no pork, lard, and alcohol are served.